Manned up and headed for the hills. I had a date with my t-mill and we decided to do some hills. As you know, hills on a t-mill scare me. I have this fear that the incline might get too high and I won’t be able to keep up with the speed. And I can really visualize myself falling off of mister t-mill just like in those home videos. Embarrassing, right? It would happen to me. I would put money on it. I manned up and headed for the hills anyways. 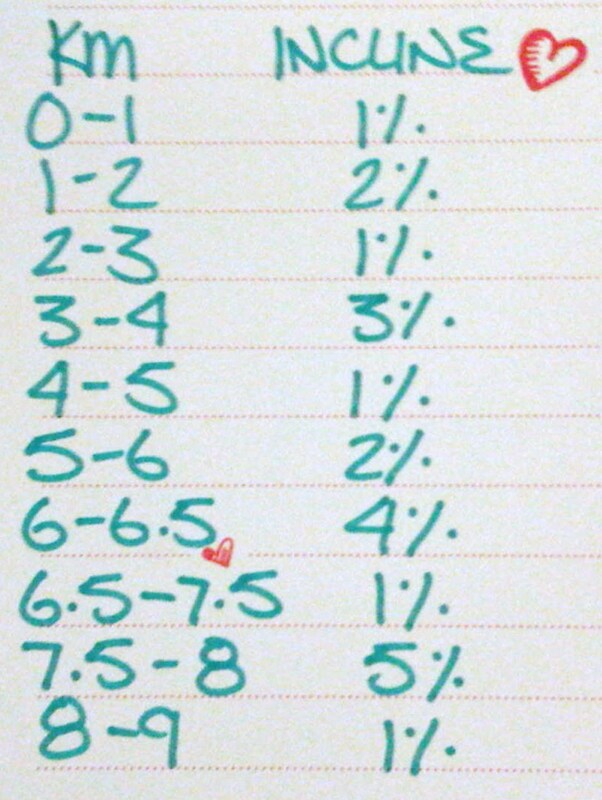 I forgot to go in with a game plan on how many km’s I would do per incline (again) so I winged it. And it felt really good! Minus the fact that mr. t-mill did not give me any roses, chocolate, or jewellery. I know, I wish he did. Instead I visualized my peanut butter cups over the hill. And they tasted sooooo good when I ate them! I was really indecisive picking my playlist for today so I went with my go-to playlist. The one I need when the motivation just doesn’t seem there. Good Luck to all my POWER CHEER TORONTO COBRAS competing in Atlanta today!! I’m sending all of my positive vibes for you to get your BID to WORLDS!! 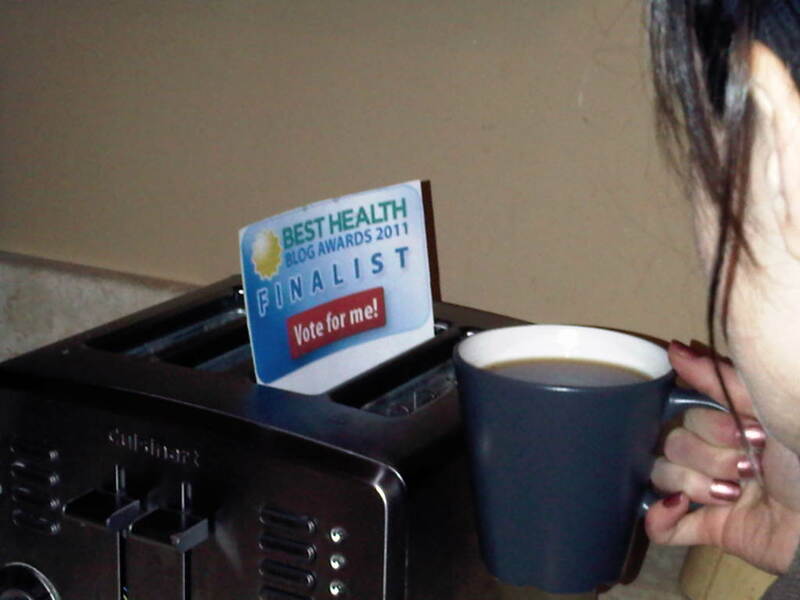 As I was getting my morning coffee a little note popped out of the toaster to VOTE for BEST HEALTH MAGAZINE’S BLOG AWARDS. It must be a sign that voting for me and coffee just go hand in hand! Why not make one vote for me every morning part of your daily routine? You can do it HERE! This entry was posted in Best Health Blog Awards 2011, hill training, http://schemas.google.com/blogger/2008/kind#post, Power Cheer Toronto Cobras, Stats of the Run by Siobhan McCarthy. Bookmark the permalink.